I really give credit to my wife, in more ways than one, but one of those credits is due to packing a healthy lunch on a regular basis. As I do all of the grocery shopping, I am very in tune as to what is needed throughout the week, and in the past it always includes ‘Lightly Salted Roasted Almonds’. It kind of drives me nuts because not all stores are carrying the Blue Diamond brand that she loves. I’ll admit when I do find them I often have sighed, and probably loud enough where others hear it in an aisle, not only because I had finally located them, but also the price. I know, I know, what is under $10 for a bag of these great, healthy nuts still drive me nuts and I know that I can make them better, or at least just as good. So, while shopping at my local Costco, I noticed that there was big bag of raw, unsalted almonds that were probably four times the amount in quantity for about the same price, if not a few dollars more. I was all in, and I was out to get these lightly salted almonds made and ready for lunch time. Did I succeed? Heck yeah, I succeeded. Not only did I succeed but I also had a good amount over to be used in homemade horchata! 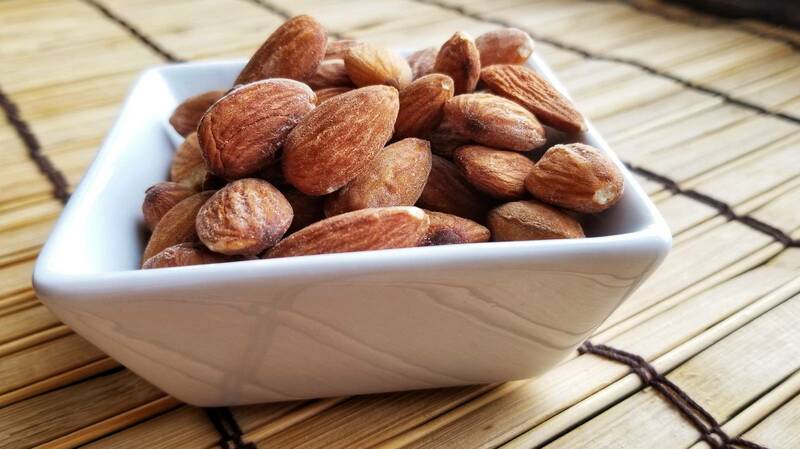 Let’s get started on taking basic almonds and turning them into flavorful nuts that are a perfect snack. To a large bowl, add the almonds, oil, and salt. Mix well and ensure that everything is lightly coated. Add the nuts, evenly, to the lined baking sheet (I use a 9 x 13), and place into the oven for about 6 minutes. 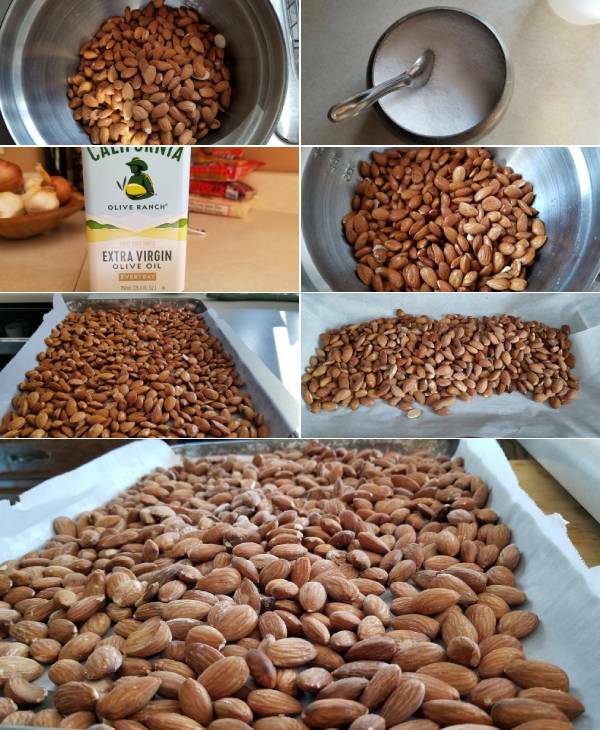 After, remove the baking sheet, and mix up those almonds. Make sure to spread them out as evenly as possible, then return back to the oven, and bake for about 7-10 more minutes. 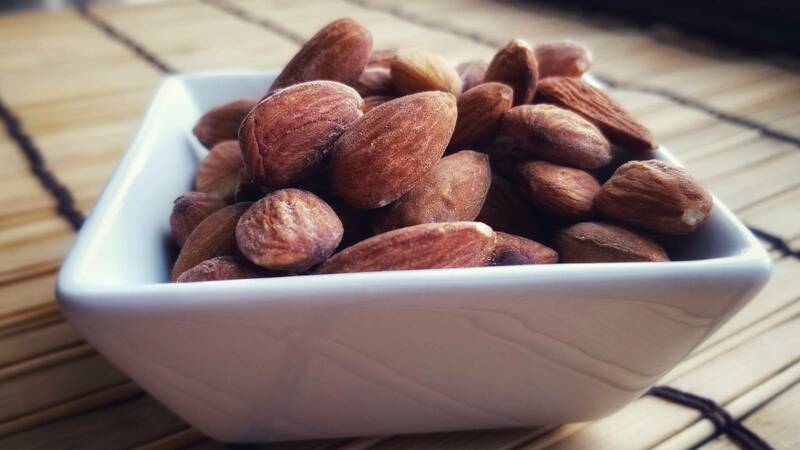 Your goal is to keep an eye on the almonds so they do not burn or overcook! So open the door or turn on the oven light and give a quick check every few minutes. Once cooked, remove from the oven, and give them a light mix, and let them cool. Once cooled, add them to an airtight container and snack throughout the weeks. These may not be exactly like Blue Diamond, but for cost, and effort, these are pretty darn delicious, and more importantly wife approved. If you are looking to save some money, and take a few minutes to make some great healthy snacks, then give these a shot. Simple, and delicious! Hope you enjoy. Once cooked, remove from the oven, and give them a light mix, and let them cool. Once cooled, add them to an airtight container and snack throughout the weeks.